I am so excited to be sharing with you what I am currently reading!!!! So here is the book!!! 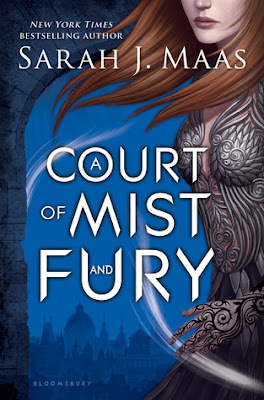 A COURT OF MIST AND FURY BY SARAH J. MAAS!!!!!!!!! So many times I have been told by you guys and others that I need to read this book and I had it for sooooo long. Everyone said that it was amazing and even better than ACOTAR. But the size of it and my reading slump made me put it off. But the day has finally come for me to be reading this book!!!!!!!! Guys I am so excited I am absolutely loving it so far I am about 160 pages in and driving my way through. I can't believe that I haven't read this earlier but after I finish this then I will be somewhat caught up with what I am behind on reading. But guys I am so excited to finally be reading this and I know that you are too! Today I will be reviewing Glass Sword by Victoria Aveyard. This is it! 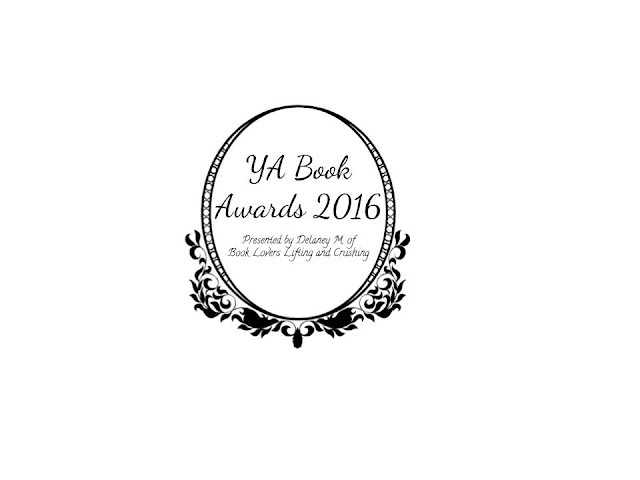 The final voting for my YA book awards show for 2016 is finally commencing. Below is an embedded google form, all you have to do is click which one you want to win for each. All of the categories are required. So let the final voting commence!!!!! Thank you guys for voting and I hope you enjoyed this. If you guys did then I will definitely do it again next year! Today I will be sharing what I plan to read over Christmas break! I know that I wont be able to read all of the books over vacation but I definitely want to try. So here are the books that I want to read over break. 1. 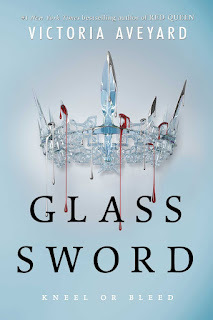 Glass Sword by Victoria Aveyard So I am only about 50 pages into this book, but I will definitely sit down and read it today. I would really like to finish it over break, and I know I will! Today I will be hauling all of the books and book related things that I got for Christmas this year. The amazing thing about this is that my father actually made this for me. It is all handmade, the stitching, the leather work, the inner pages. He did all of it for me and I love it so much. Look at how awesome this book it. He also stained the pages with tea too to make it real looking. I love my dad!!! 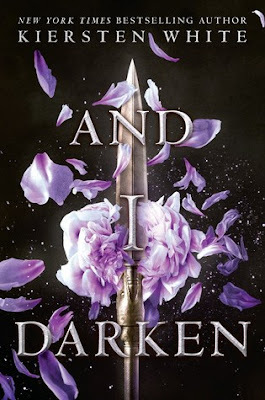 Today I will be sharing my review for Kiersten White's book And I Darken. I know that this is going up a day late but I really wanted to do it and I still think that people are in the Christmas spirit and I know that some people celebrate Christmas late with different parts of their family so this is still relevant guys, still relevant! Hey guys! Today I am bringing you a blog collab with shipperprincess52.blogspot.com! We will be bringing you guys some things that will make your Christmas, a very YA Christmas! Now, I have no pictures of these but these are just some ideas of some characters that would make tasty gingerbread men. 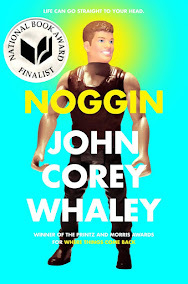 Yes, I am finally going to be reading this book! Also my review for And I Darken by Kiersten White will be up soon as well! First of all, I would like to say that I am so sorry that I haven't posted in an entire month, but the reason why I have not been posting is because I have not been reading as much. As most of you guys know, school has started up again and I have been extremely busy with school and sports and everything, but do not worry! I will have more posts and reviews up soon! But seriously, this is an intense reading slump, but I just can't stop buying books! I will make another post with a book haul later.